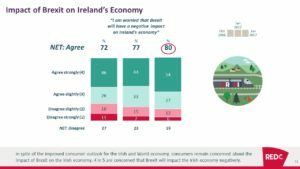 The lastest RED C Consumer Mood Monitor from June 2017 shows a slight increase in consumer outlook for the Irish economy. 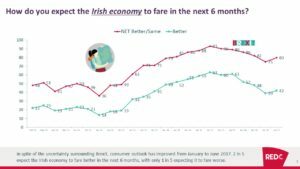 This is the first increase since June 2015. More than 2 in 5 (42%) now believe the economy will improve in the next 6 months – this is up from 39% in January. 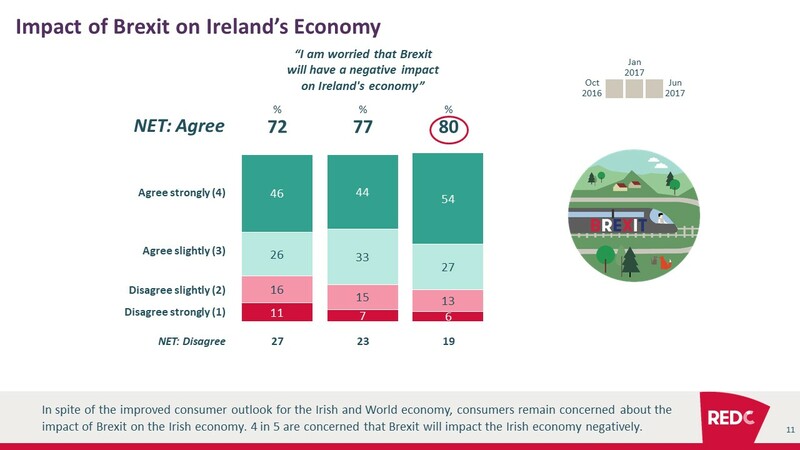 But Brexit remains a significant concern with 4 in 5 being worried that Brexit will have a negative impact on the Irish economy – this is an increase from the previous wave in January. 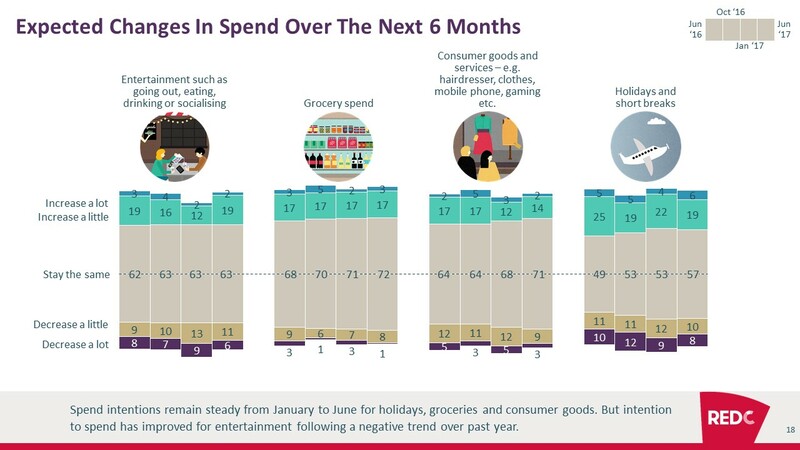 Consumers do not expect any change to their disposable income over the next 6 months and as a result spend intention remains stable for most categories. 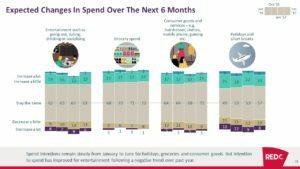 But consumers are expected to increase spend for entertainment/socialising. 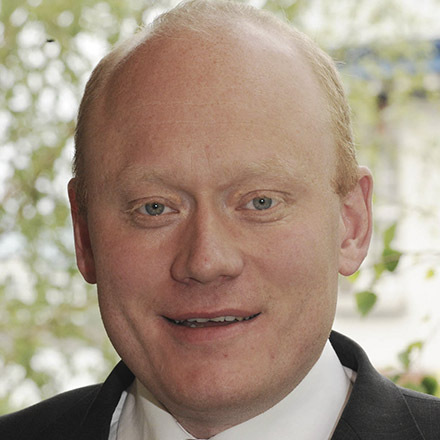 The weaker British Pound continues to impact Republic of Ireland spend but to a lesser degree than seen back in January.